President Donald Trump is entering a fraught period of negotiations with congressional leaders this week after reopening the federal government with no concessions on wall funding. Trump pledged to reopen the government Friday after a 34-day standoff with Democratic lawmakers centering around his demand for $5.7 billion in border wall funding. Throughout the negotiations process, Democratic lawmakers rebuffed nearly every offer from the White House, saying they would provide no more than $1.6 billion in border security funding, and that none of it could be used toward a wall. Democratic leaders Nancy Pelosi and Chuck Schumer, however, said in a Friday press conference that they’re opposed to a wall. 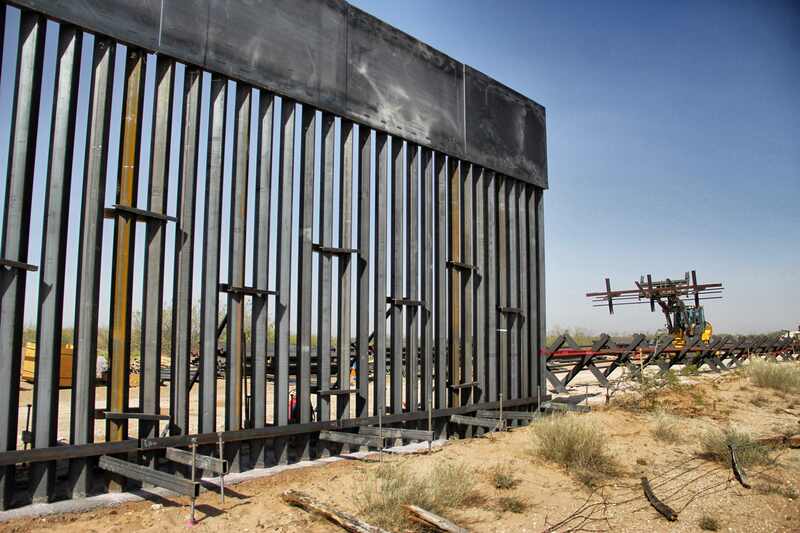 Two administration officials familiar with past negotiations said they are not optimistic that anything of worth will come in 3 weeks, and that a national emergency declaration is all but inevitable. The president himself seemed to echo this sentiment in a Sunday interview with The Wall Street Journal, telling the publication, “I personally think it’s less than 50-50” chance that a deal with Congress can be reached. Trump added that he doubted he would accept any congressional deal that offered him less than 5.7 billion dollars in funding. “I have to do it right,” Trump continued of any deal for building a border wall, noting that he would not even rule out bringing about another government shutdown to get what he wants. Trump is expected to make his demand for a wall a central part of his State of the Union address, which will be delivered on an undetermined date in the near future. Trump was originally set to deliver the speech Tuesday, but had it canceled by Pelosi because of the government shutdown. Officials told The Daily Caller that Trump is particularly incensed with news media coverage of his decision to reopen the federal government and is especially sensitive to language that he gave in to Pelosi’s intransigent position. Trump sought to dispel this notion several times over the weekend with tweets aimed at assuring supporters that he would eventually fulfill his signature campaign promise.